With the RS2 1.04 Update testing underway on the Community Test Branch, the team's focus has turned towards the Australians with the Bushranger Content Pack . Our eagle-eyed fans who tuned in or read the Roundup may have also noticed another section - R&D. This section contains items we are interested in pursuing, but we are not yet fully committed to adding to the game. One of these R&D projects involves WW2. 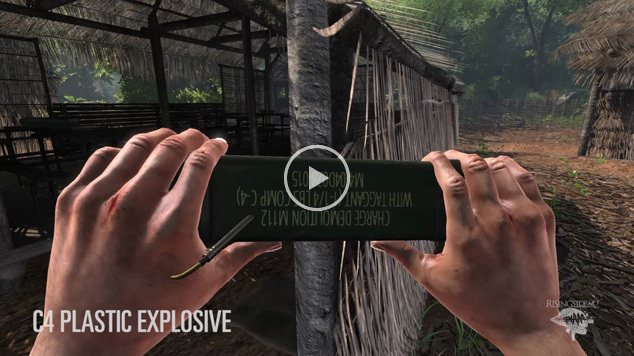 We are looking into porting some content from Red Orchestra 2 to Rising Storm 2 and perhaps this content could turn into a small WW2 addition for Vietnam. We want RO2 fans to help us decide what content to port over and we, in general, what your thoughts on this project. 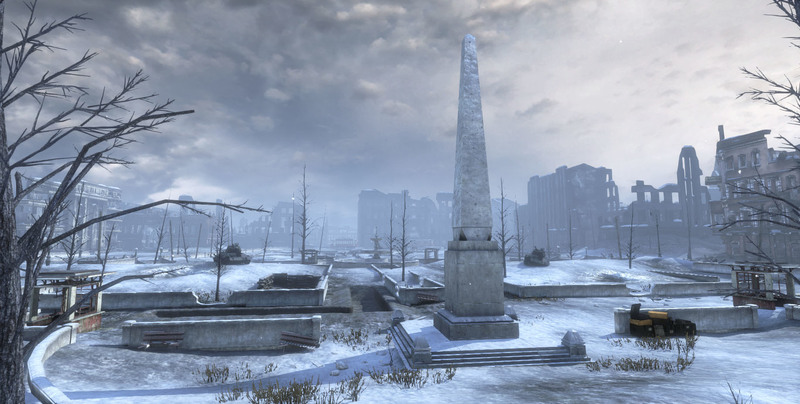 Go and vote for your favorite Red Orchestra 2 maps you want to see ported as apart of this project! This poll features all official Tripwire and official custom infantry and combined arms maps from Red Orchestra 2. Information collected will be used to help us select the best maps suited for the first prototype of this WW2 project. If everything goes as planned, expect testing to start near the end of the year or beginning of 2018. Stay tuned! Make sure to get your vote in by Oct. 2nd as that is when this poll will close. As always, we look forward to hearing from you! 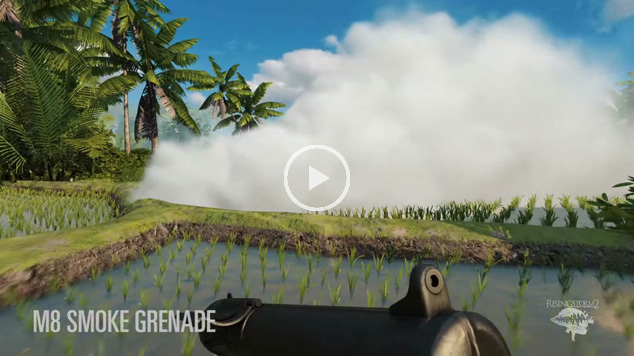 Rising Storm 2: Vietnam Beta Keys - First to grab em win! Good luck, and thanks for being franchise fans! There are more keys out there. Keep your eyes peeled! Save 75% on Red Orchestra 2: Heroes of Stalingrad with Rising Storm during this week's Midweek Madness*! Heroes of the West Winter 2016 update now live! To mark the upcoming anniversary of the start of 'The Battle of the Bulge' (Unternehmen Wacht am Rhein) Tripwire Interactive and the team behind Heroes of the West mod are proud to announce the release of the HotW winter 2016 update for Rising Storm/Red Orchestra 2. Based on the German counter-offensive in the winter of 44-45, this update has 3 new maps; 2 winter maps and Saint-Come-du-Mont, a community-made map based around the fight between US and German paratroopers in Normandy. 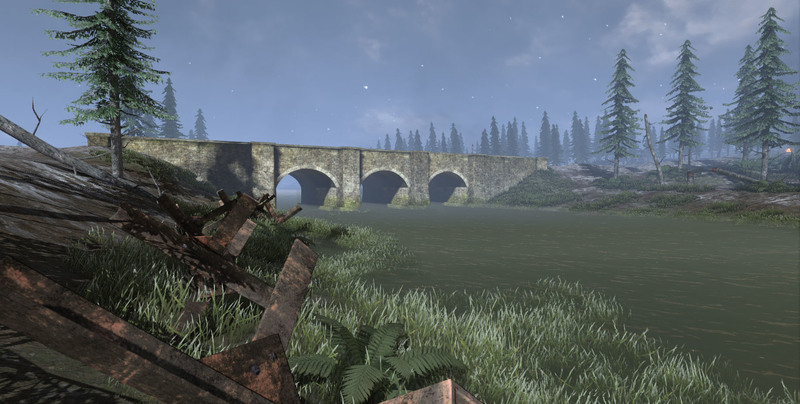 The maps set in the Battle of the Bulge include the classic map, Foy, from the Darkest Hour mod of Red Orchestra Ostfront.The other Map features brutal fighting with US GIs defending against an all out assault at Elsenborn Ridge in December 1944. The update includes all-new winter uniforms for the US and German forces and features a new vehicle, the Jeep with an M2 50 cal. machine gun mounted on it, a fearsome light support vehicle. Owners of Rising Storm/Red Orchestra 2 can grab the mod for free from steam at http://store.steampowered.com/app/440090/ - just run the launcher to get all new movies for the map loading screens. 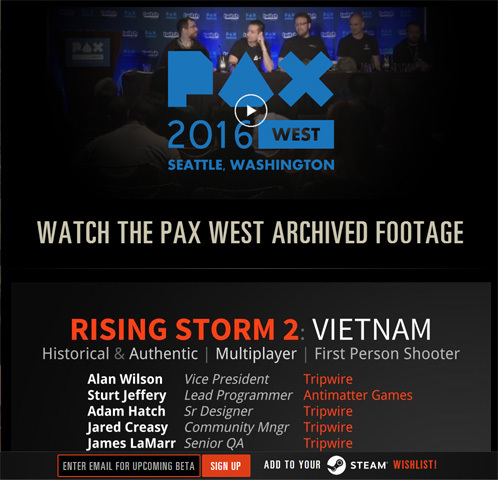 Last week Tripwire and Antimatter devs were at PAX West and delivered a presentation about Rising Storm 2: Vietnam. 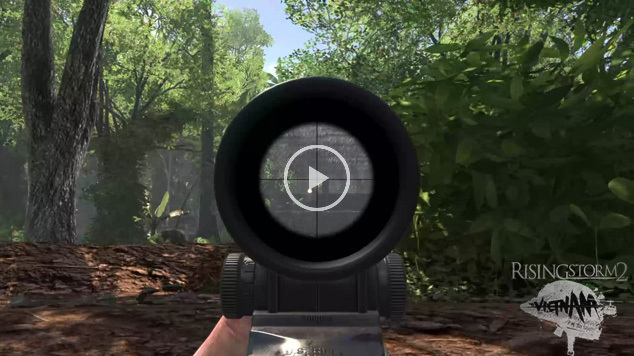 The developers go into detail about weapons, helicopters, commander abilities as well as answering questions from the internet and from the live audience. We also show off new in game footage, as well as Sturt Jeffery flying (and crashing) the helicopters live! Check out the archived PAX West stream on Twitch! We have also provided the slides and videos from the presentation. Before PAX, Tyler from PC Gamer wrote about his experiences playing Rising Storm 2: Vietnam in a multiplayer session. Make sure to follow us and keep up with the latest news & updates! New "Armour Update" available now for Heroes of the West! Heroes of the West Armor Update. In this latest update of Heroes of the West, the free mod for Red Orchestra 2/Rising Storm we are proud to introduce 2 new tanks, the American M4A3 Sherman and the German Sturmgeschutz III ausf. G (Stug IIIG). The M4A3 Sherman was a common model of the famous Sherman tank. Many were in use and deployed in the Normandy theatre. We present to you the mid-production variant with the standard 75mm gun. The German Sturmgeschutz III ausf. G was the most common variant of any Armored Fighting Vehicle used by the Germans in WW2. With its low profile it was an effective infantry support, and anti-tank, vehicle in most theaters where it saw action. Over 8,000 were produced. The update also brings in the US M1A1 Bazooka. This was the first mass-produced AT rocket launcher to be introduced in the war and, with its 60mm HEAT ammunition, it was an effective infantry anti-tank weapon, levelling the playing field against enemy armor. 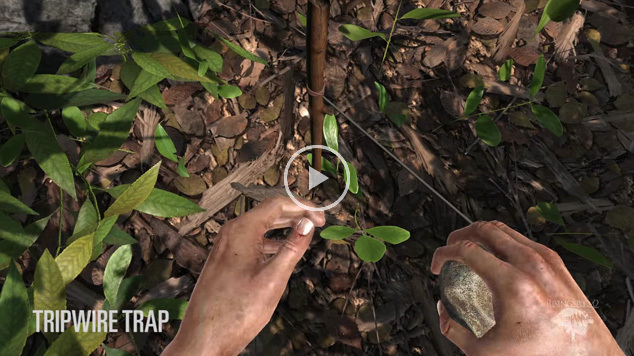 All of these new features can be seen on the newest addition to our map-list, WF-Bocage. This map is based on the fighting through the difficult terrain of Normandy with its imposing hedgerows. Set during operation Cobra, the US forces have to fight field to field and road to road through this terrain, fending off German ambushes. Manufactured at the Tula arsenal in 1937 this 1891/30 found its way to Vietnam by way of a Soviet supply crate. A significant number of old Soviet surplus supplies, plus weapons captured during WW2, were sent to The People's Republic of Vietnam (PAVN) and to the Nation Liberation Front (NLF or “VC”). The Mosin Nagant is the most mass produced and plentiful rifle of all time. Over 100 million rifles were made from 1881 to 1965 by many manufacturers from several different countries. Fun fact - Remington and New England Westinghouse were two US companies that produced some of the first Mosin Nagant rifles. Pre-WW1 Russia had manufacturing contracts with both of these companies but could not completely fulfill payment for all of the rifles produced. This was devastating to Remington and almost put them out of business. The US government bought the remaining, unpaid-for Mosins and sent those rifles with the soldiers & engineers who participated in the Allied intervention of the Russian Civil War, Operation Archangel in 1918. 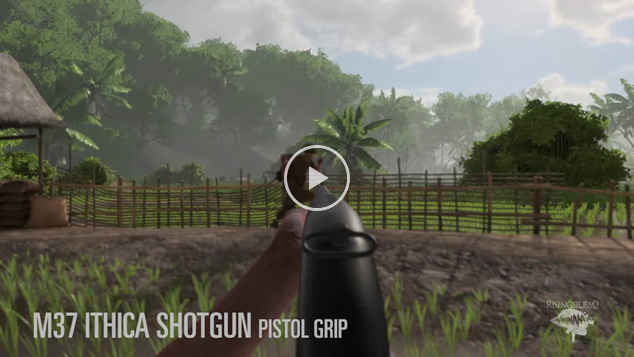 In game, the 91/30 is used by the NLF and the 91/30 PU is used by both the NLF and the PAVN. 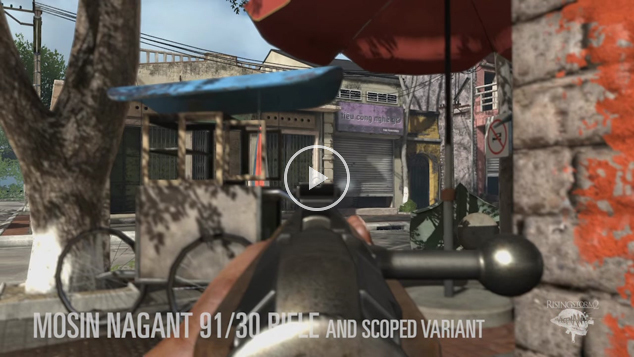 Both versions of the rifle include an attachable “pig-sticker” bayonet - making it the longest rifle in the game, by far. 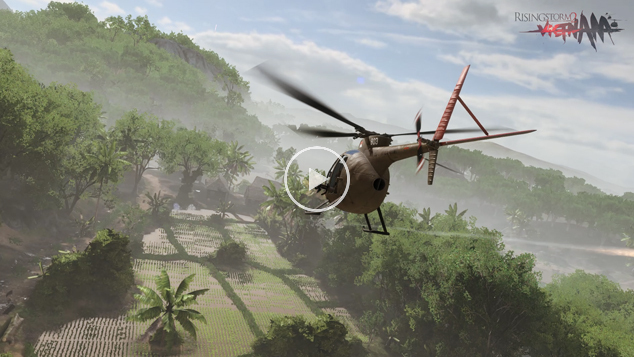 Incase you missed the Preview by PC Gamer - Tyler writes about his experiences playing an early version of Rising Storm 2: Vietnam talks with Sturt Jeffery from Antimatter games about the newly revealed pilotable helicopters. As a reminder, RS2 devs will be at PAX West presenting a live stream panel and answering community questions from both the audience and those posted on our Steam Community and over on /r/rs2vietnam and /r/redorchestra. Go post your questions! Greetings Red Orchestra & Darkest Hour fans! In case you've missed it, there is a sequel to Rising Storm coming and we want to make sure you all are aware. 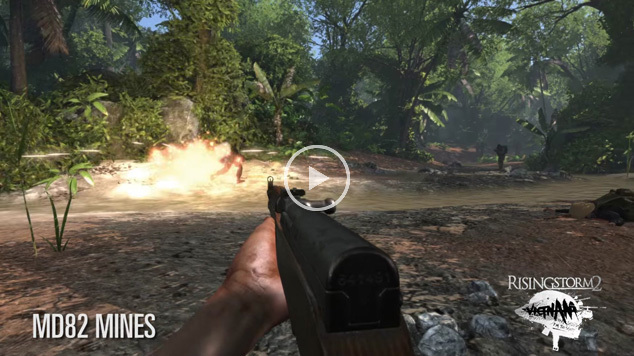 Rising Storm 2 takes place in Vietnam during the 1960's. 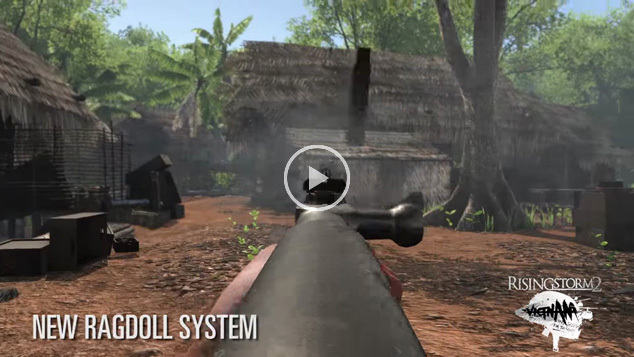 Please add RS2: Vietnam to your wishlist! Don't forget to follow the Rising Storm 2: Vietnam Steam Group! And now for the media recap! 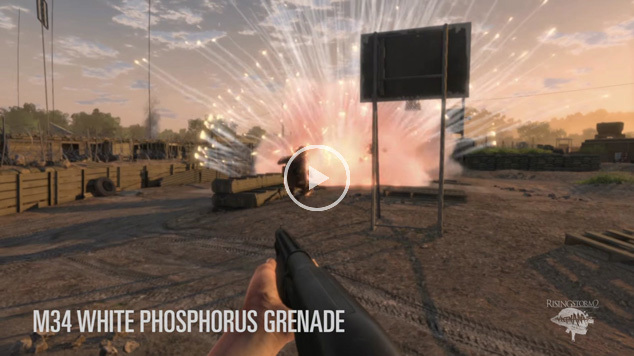 M8 Smoke Grenade - Now effected by wind! As a reminder, we will be doing a streaming panel at PAX West - so make sure to follow us to keep up with the latest news! We have a closed beta sign up form that has slowly been working its way around. We still do not have an official start date for the closed beta but we will keep everyone updated on when this will happen. We will be inviting a limited number of people, but we will have several phases and multiple ways to get a key as we ramp up towards the final release of the game.